Are rumors really so bad? As China’s leadership once again ratchets up the pressure on so-called “online rumours,” focusing on social media accounts with strong followings, it’s a good time to call on the expertise of former CMP fellow Hu Yong (胡泳). One of China’s leading thinkers on the internet and new media, Hu Yong is a professor at Peking University. The following is an interview we posted two years ago — during the peak of another anti-rumor campaign — in which Hu Yong dispels the notion that rumors are necessarily bad or malicious. Rumor, he argues, is a form of knowing as old as the hills. And the best way to ensure reliable information is to open up the conversation, not to restrict it. 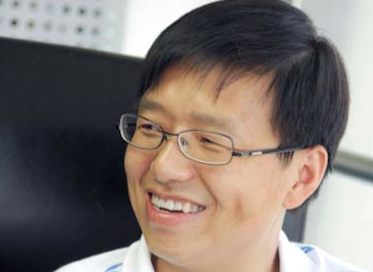 [EDITOR’S NOTE FROM AUGUST 12, 2011] The following interview with communications scholar, new media expert and CMP fellow Hu Yong was published by Time Weekly. As the controversy continues in China over the so-called “anti-rumor league,” a group of online rumor busters who have advertised themselves as truth-seeking vigilantes out to identify and neutralize untruths in China’s burgeoning microblog sphere, this interview provides one of the best and most comprehensive looks at the question of what constitutes a “rumor” and how China can best use social media to promote openness, engagement and truth-seeking. Time Weekly: Recently the problem of “rumors” on microblogs has become something of a concentrated phenomenon and has drawn a lot of controversy. How should we view the relationship between rumor and microblogs? Hu Yong: Actually, rumors are a very old form of language, with a strong word-of-mouth character to them. In some sense, in the internet age we’ve seen the return you might say of some forms of communication in the past. Microblogs particularly resemble village markets where everyone mills around and the threshold for speaking is quite low. This kind of media form is actually extremely suited to the spread of rumor and hearsay. The transmission chain is short, the speed rapid, and the scope wide. And so, it’s fundamentally impossible to completely get rid of rumor on microblogs. Hu Yong: That’s right. This certainly happens, and it’s important to recognize the difference. But we need to point out further that if we simply define “rumor” as subjective and deliberate fabrication (观故意的捏造) and then add to this judgement about motives, this is really problematic. Put another way, the reason the “anti-rumor league” has invited so much controversy is because many people believe that they often make conjectures about the motives of those they focus on. People generally assume that rumor is fabrication, and then suppose that it involves some sort of nefarious purpose. It never occurs to them that rumor is not necessarily in and of itself pure fiction, that there might be a particle of truth. I’m personally very opposed to the idea of ascribing motive in the definition of rumor. We all know that the ascription of motive (动机论) or the attacking of others in argument on the basis of assumed motive (诛心论) have a longstanding and well-established history in China. In the process of verbal exchange, or in the process of discourse and argumentation, we often don’t direct our language toward the conduct or language of the other, but rather directly criticize the other — why did they say what they did, why did they act in that way. We make conjectures about the motives of the other. This kind of motive ascription as a way of thinking is actually the greatest obstacle to reasonable discussion, and in many cases its interest is actually throttling freedom of expression. Time Weekly: This kind of form of discussion that doesn’t ascribe motive should be a basic principle established in public discussion on microblogs. I know that the French critic [philosopher, sociologist] Raymond Aron placed great importance on this principle and emphasized it again and again. He said that in collective action less attention should be paid to the intention of those taking action and more attention paid to the results of that action. Hu Yong: We have a tradition of ascribing motive, including during the Cultural Revolution when everyone talked about “literary prostitutes” (文痞) [in accusing certain intellectuals]. What they used was what we often call the billy-club method. This method is in fact one of the most commonly used forms of ascribing motive. If you ascribe motive excessively in your analysis of rumor, it is quite easy to wipe these so-called rumors with your own ethical judgements and then occupy a moral high ground for yourself. When you use this sort of method to carry out a process of demonization on rumor, that actually means that what you’re wiping out is the validity of the public’s questioning of you, or the validity of the public’s resistance. In other words, I think that in the controversy over the “anti-rumor league” there is something that has to be said clearly, and that is that the notion of “dispelling rumor” [piyao] does not have natural validity within the context of contemporary China. Time Weekly: The “anti-rumor league” and the motive-ascribing form of thought that they represent is something we have to be alert to and critical of. We can also see that if we lump what is said in error with rumor, this kind of thought demands that people have to be all-knowing, and this expects far too much of people. Hu Yong: In a basic sense, any time something happens information is asymmetrical, and no one is like God, seeing and knowing all. So oftentimes information will emerge incomplete or even in error, and its difficult to dismiss it directly as “rumor.” In a deeper sense, rumor is one way and means by which we come to recognize our society, a form of knowing (认知方式). Because as an individual or community when you meet with uncertainty you will naturally undergo acts of social cognition, or you’ll act in a collective manner, working to eliminate uncertainties in the information process. In the research of rumor, social scientists believe that rumors are in an important sense part of social cognition, a tool with which social communities resolve problems. Time Weekly: Yes. Information, this basic concept, has been defined as something that dispels the cognitive uncertainties of the receiver. For example, the July 23 accident [of the high-speed train in Wenzhou], this sudden-breaking incident, created a great deal of uncertainty. At the same time it also generated a craving for accurate and timely information. But the government was extremely negligent in providing information about the disaster, and even had a desire to cover it up. So then, rumors in the sense that you just described them emerged. Hu Yong: That’s right. On this issue a lot of people have a very superficial understanding, and perhaps have a lot of warped views. As I just said, we can make a distinction within rumors about truthful content and fictional content. But many people believe that rumors must all naturally be false. What’s more, a great many people believe that rumors are a form of social malady. And so we see even a lot of media saying metaphorically that rumors are spreading like an illness. In fact, some of the actions of the “anti-rumor league” have this sort of problem. When you understand “rumor” purely as a kind of sickness, you commit an error of presumptuous arrogance, assuming that the public consists of people who easily fall victim to illness, that they easily believe rumors and lightly disseminate them. But in fact as we just discussed, rumors are a normal part of society, a normal condition, and not a sickness. Functional rumors will emerge among communities in our society as they seek answers to events that they cannot explain. Hu Yong: The “anti-rumor league” says itself that it wants to take on social responsibility in the era of We Media (自媒体), leveraging spontaneous forces to promote self-discipline in speech. This follows the pattern of self-governing organizations in the We Media age, but the problem lies chiefly in the way as everyone has criticized they selectively target rumors, avoiding government rumors and only focusing on rumors from the public. They say themselves that they are bearing a social responsibility, but we can see from the microblog account of the founder of the “anti-rumor league,” Dou Hanzhang (窦含章), that he has labeled himself as someone who “speaks on behalf of the government” (替政府说话的人). This tells us quite clearly that he has a position. In my view, to target popular rumor and avoid official rumor is a failure of intelligence, whether it’s an active attempt at cover up or passive neglect. In sum, they have overlooked a relationship, I call it the relationship between rumors and lies. The slogan of the “anti-rumor league” is, “Serving the Truth” (为真相服务). Well then, we then have to ask, under China’s present circumstances what is the biggest obstruction to the truth? Is it lies, or is it rumors? This is a question they must answer. Time Weekly: In the microblog sphere, the “anti-rumor league” has been subjected to widespread challenge [by users], and you might say it has even become the proverbial rat crossing the road [which everyone hates and abuses]. But objectively speaking, microblogs are in need of a mechanism for clarification, or an information settlement platform (信息澄清平台). What form would you hope this would take, or what kind of people would constitute such a thing? Hu Yong: As to the mechanisms of clarification, I think we can say as the ancients did that “the art lies outside the poetry” (功夫在诗外). Which is to say we cannot just focus on microblogs and ask what the best mechanism for clearing up [information] is. In fact, the best possible mechanism for clearing up [information] would be for the government to realize openness and transparency of information, would be to resolve the problem of lies that we just touched on. After that, it’s about the media doing fair and comprehensive reporting. As a form of media, microblogs naturally have their own capacity for self-correction, because many people participate in microblogs and every person has their own strengths, information sources and social network, and sometimes these people may be on the scene [to give eyewitness accounts], etcetera. This is something traditional media often cannot accomplish. This kind of assembling could possibly lead to the emergence of a group intelligence. And this group intelligence is in fact what constitutes the mechanism of self-correction in the microblog sphere. This is one of the great sources of vitality for microblogs. Time Weekly: Still, some people may be concerned that this sort of self-correcting mechanism is not necessarily complete. Is it possible that it might have systematic flaws, or have collective blind spots? Hu Yong: This actually boils down to the question of how you regard group thinking (群体思维). There has always been different views about this. One view is the one we’ve already talked about, the view that groups can give rise to intelligence and that this intelligence corrects through exchange. But there has always been another understanding and view that says that if individuals gather into groups the intelligence represented by those groups will not necessarily be superior to individual intelligence, or even will not just not give rise to group intelligence but will instead give rise to crowd foolishness (群体的愚蠢). There are many examples used to support this view, for example Hitler’s Germany, China during the Cultural Revolution, etcetera. The French thinker Gustave Le Bon wrote about this in his book The Crowd.